Understandin the dynamics of the hantavirus (sin nombre virus) using various models and some recently learned tools. Here’s a Cmap of how the hantavirus affect us. Staphylococcus aureus is a gram-positive bacteria resistant to beta-lactam antibiotics. 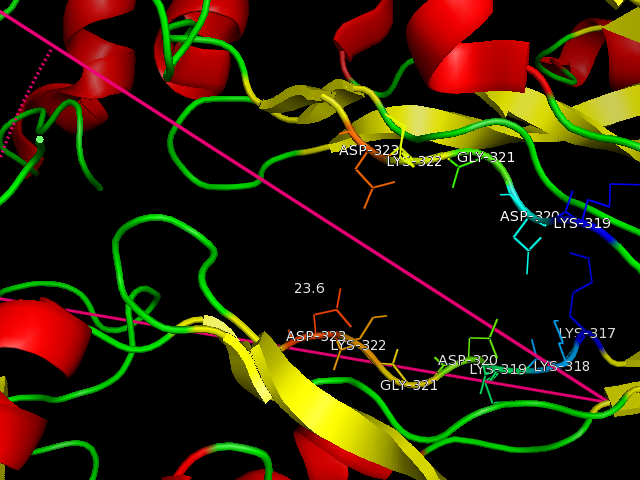 A new binding protein, PBP2a has a low affinity for beta-lactam antibiotics, contributing S. aureus’s growing resistance. For our final project, we chose to help Quentin organize some information that he had been acquiring for his preliminary exam. At first, Emily and Kate had little idea what Quentin’s project was on. 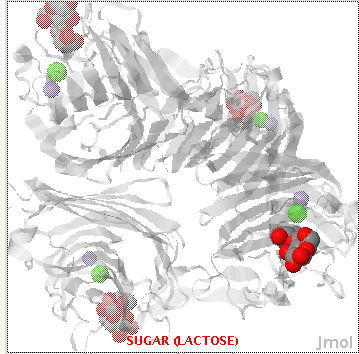 Quentin was quoted to say “Glycosyltransferase…it puts sugars on lots of stuff”. To unravel the mystery surrounding this enzyme, the trio worked together with a few tools that were learned during this weeks workshop. 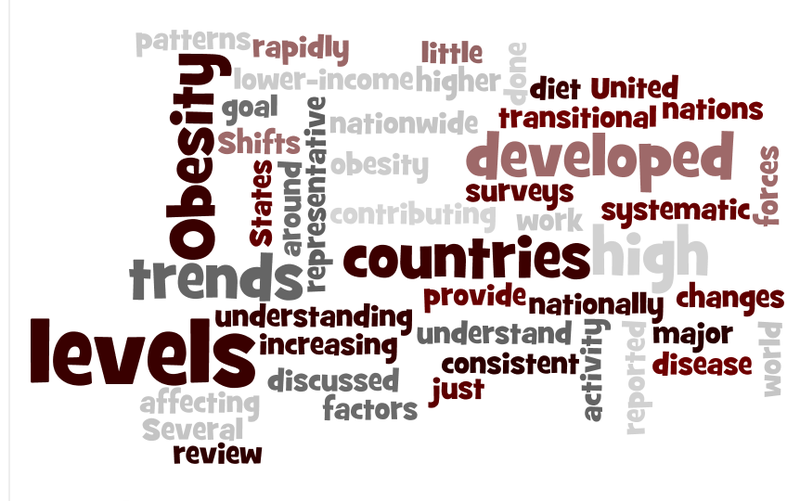 Wordle: Generation of the wordle showed key words and phrases that hinted at the functioning of this enzyme. 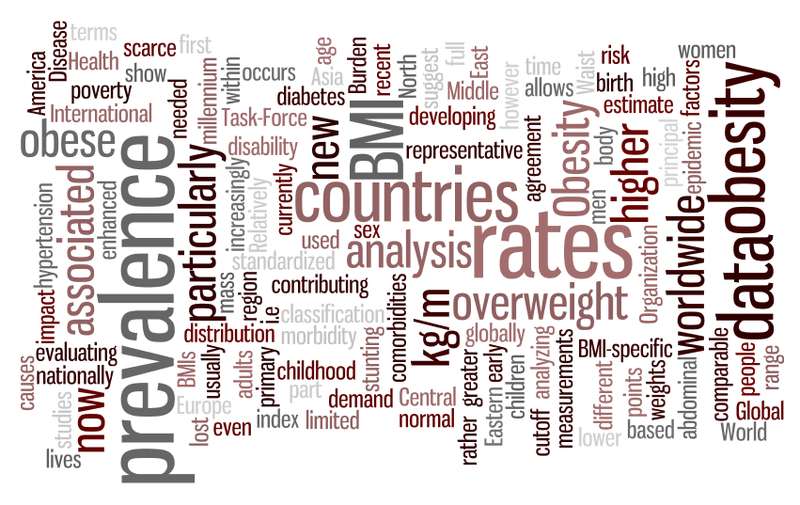 We used the first paragraph from wikipedia to create this wordle. 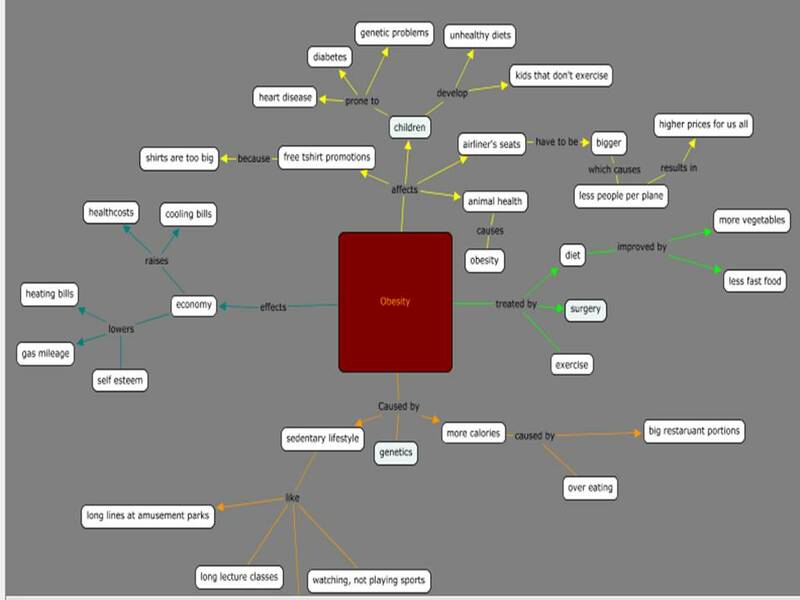 End-note: The main method that Quentin used to organize his literary resources was End-Note. Emily and Kate created accounts so they could have access to the journal articles. 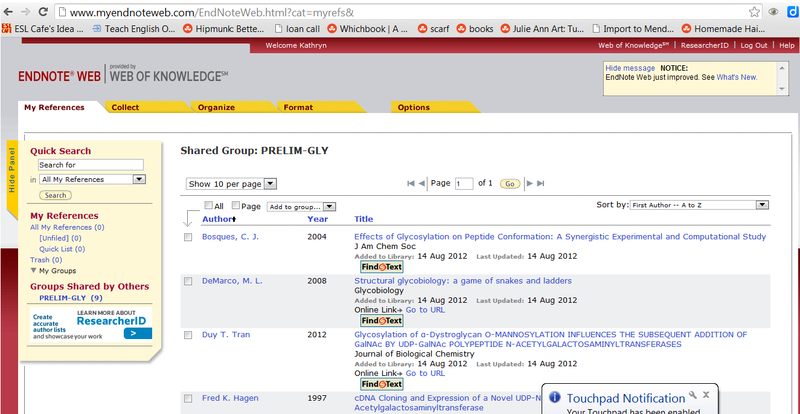 We found that EndNote was a great tool to not only organize resources but to create in-text citations and bibliographies. 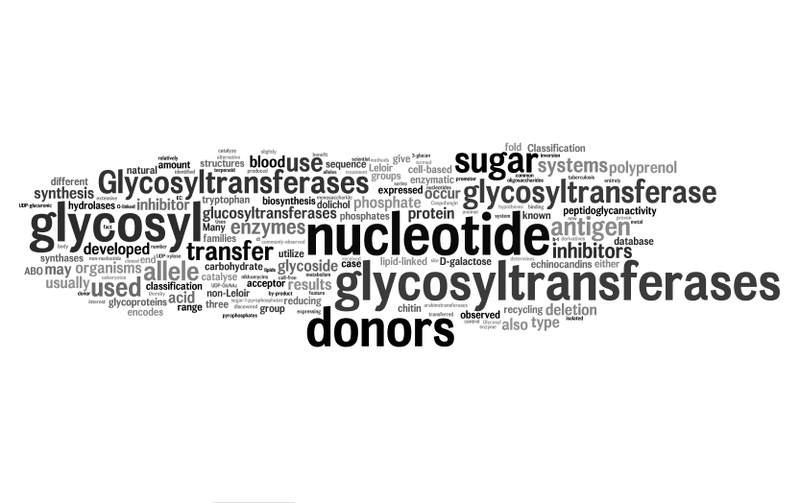 Some of the journal articles listed above pointed out how glycolsylation is a pivotal biological phenomena that allows enzymes to recognize other proteins and compounds. For example, the HIV virus uses a shield of sugars to mask itself from the immune system. In fact, some research focuses on recognition mechanisms for antibodies against the HIV virus. Our protein won $10 by placing 2nd in a beauty contest. (Just kidding). What we know is collagen and that it is the most naturally occurring and abundant protein in the human body. Plays many roles in tissue and bone growth. The common structure includes 3 intertwining helixes which gives them their high tensile strengths. Most conservtive structurally in the middle. 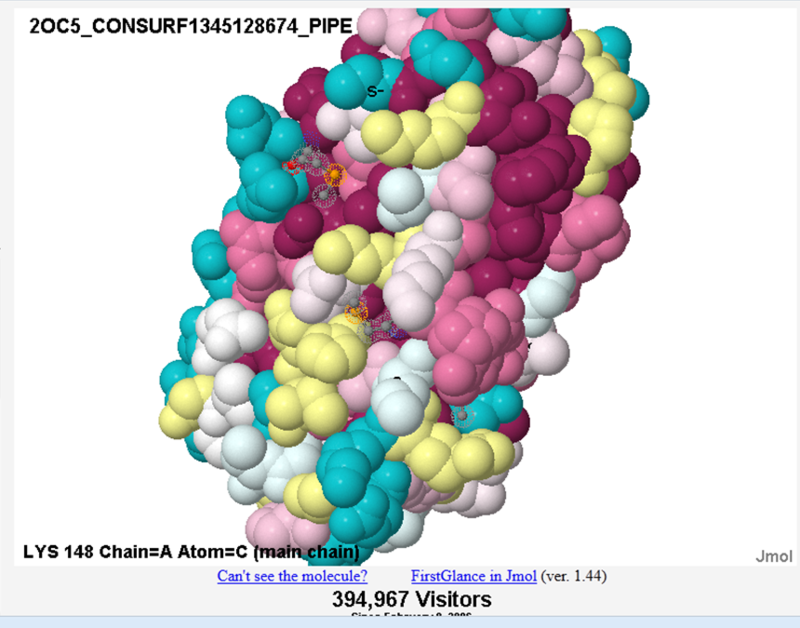 It’s PDB ID is 1GR3. 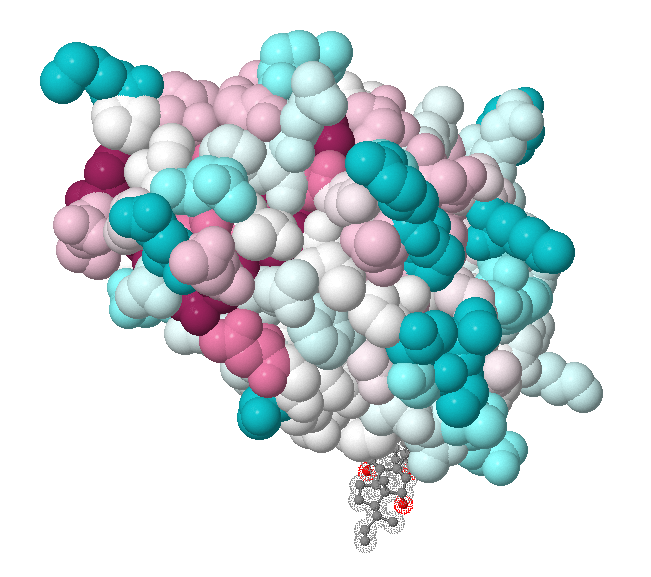 PBP protein is a Pencillin Binding Protein that has a high affinity for beta-lactam antibiotics. 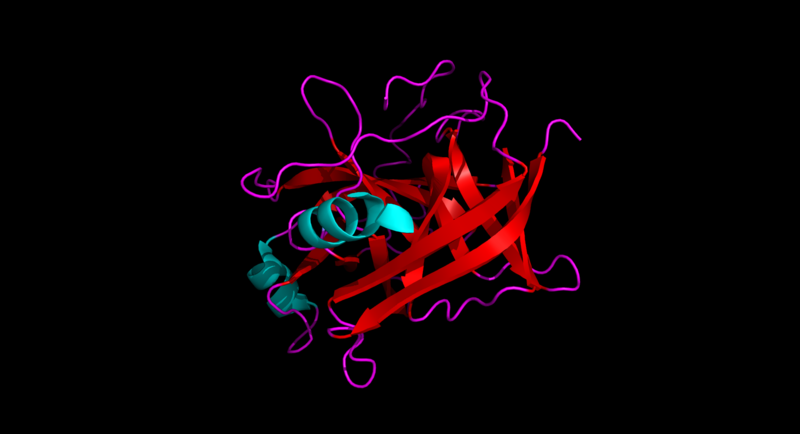 PBP2A is a modified protein produced by MecA gene that has a low affinity to beta-lactam antibiotics. This protein was developed to resist antibiotics. 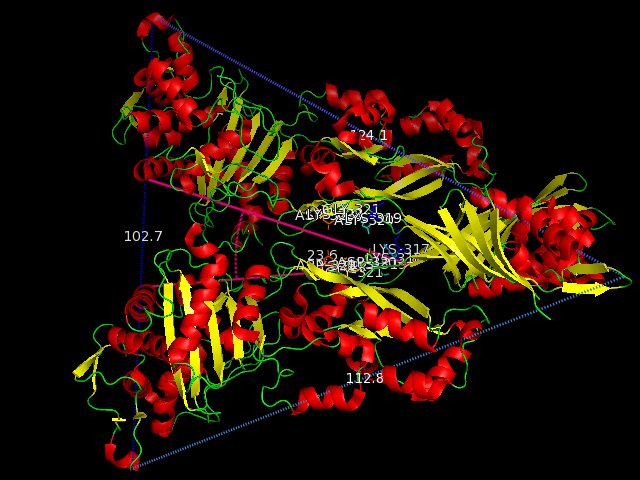 The binding site is roughly 23 degrees. The protein is roughly 102.7 by 124.1 by112.8 A.